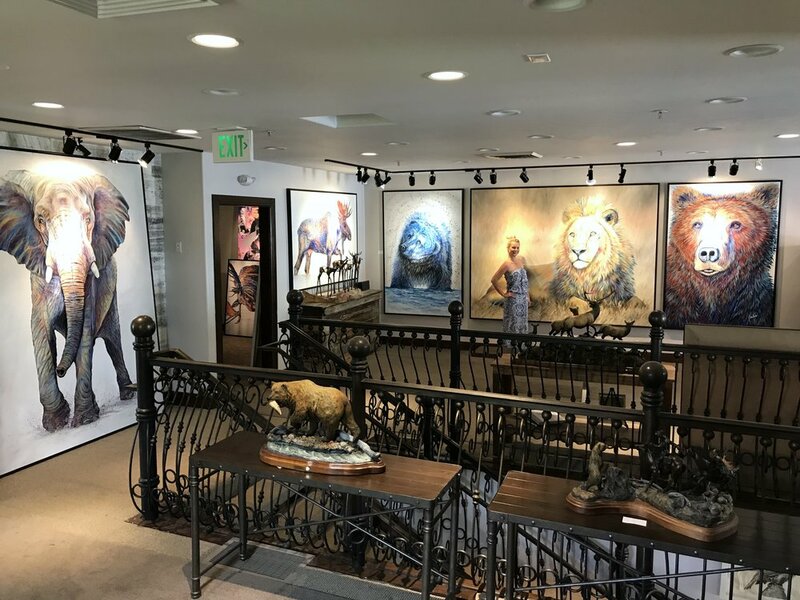 Join Teshia & Park City Fine Art as they journey through Africa in this special video documentary. 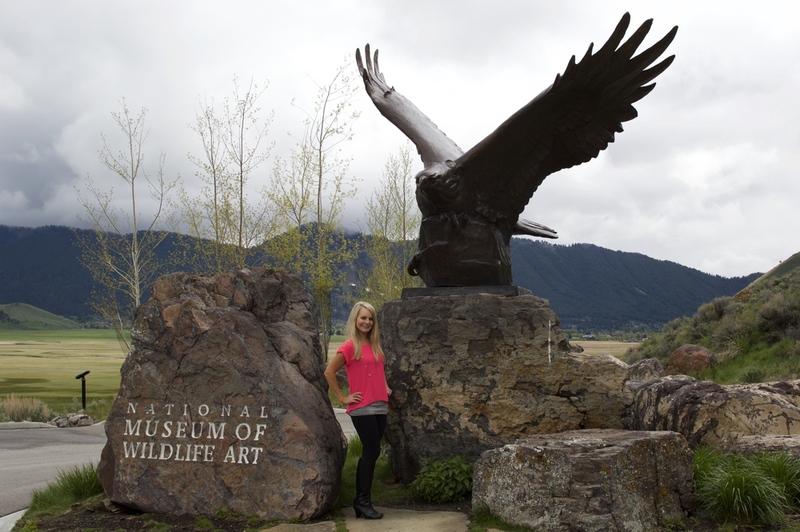 Mingling with the people and being swept away by the amazing African Wildlife & awe-inspiring scenery! 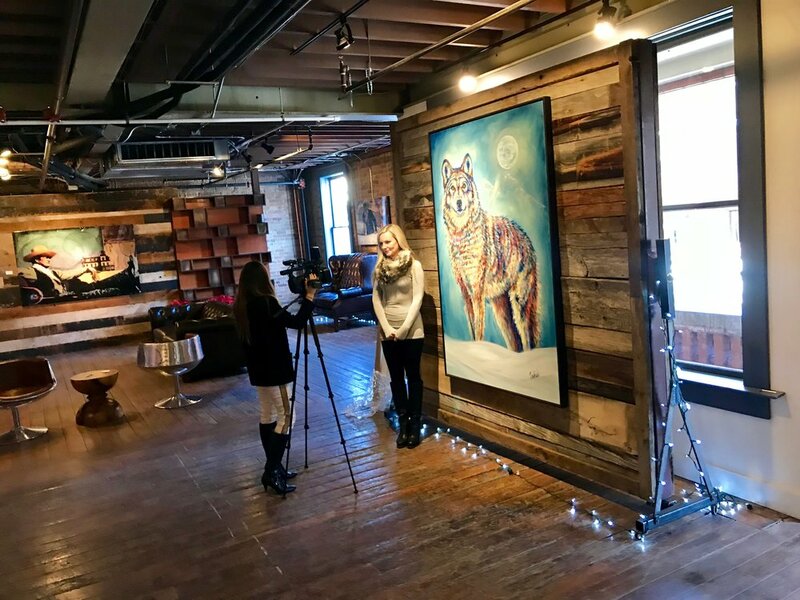 Park City TV Interviews Teshia at Prospect Gallery in Park City, UT at this Special Unveiling Event, featuring Teshia's Newest Collection of African Wildlife, & the Gallery Debut of "Teshia: An Art Journey to Africa"! 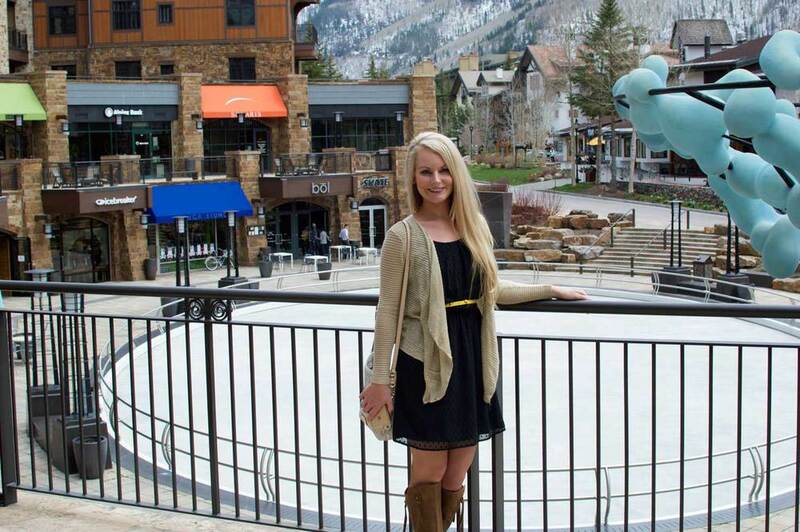 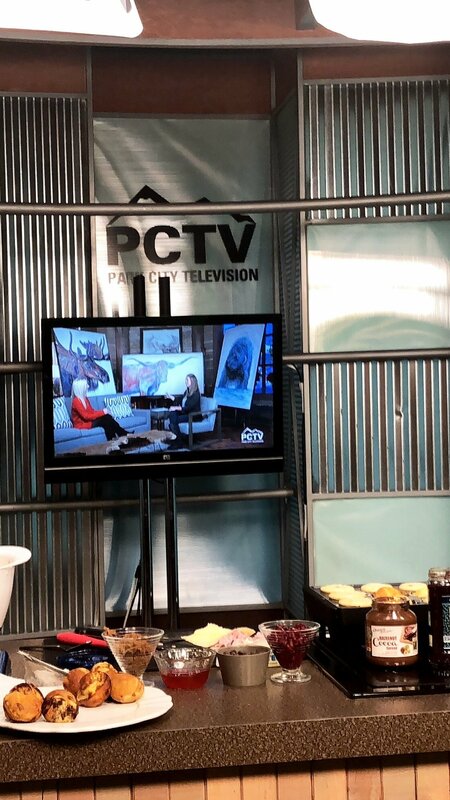 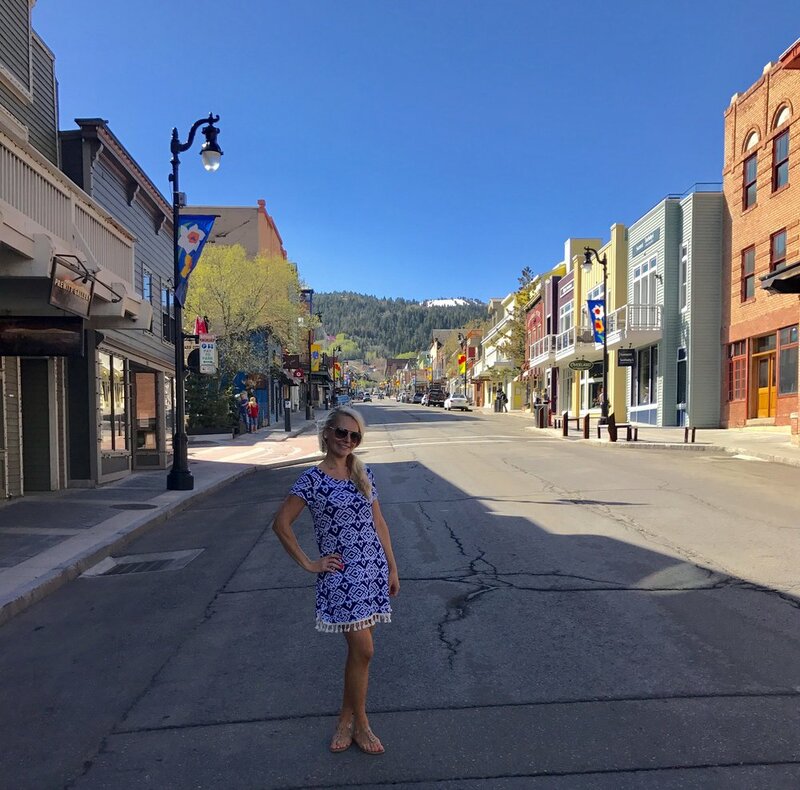 Watch Teshia's Recent Interview on the Park City TV LIVE Mountain Morning Show! 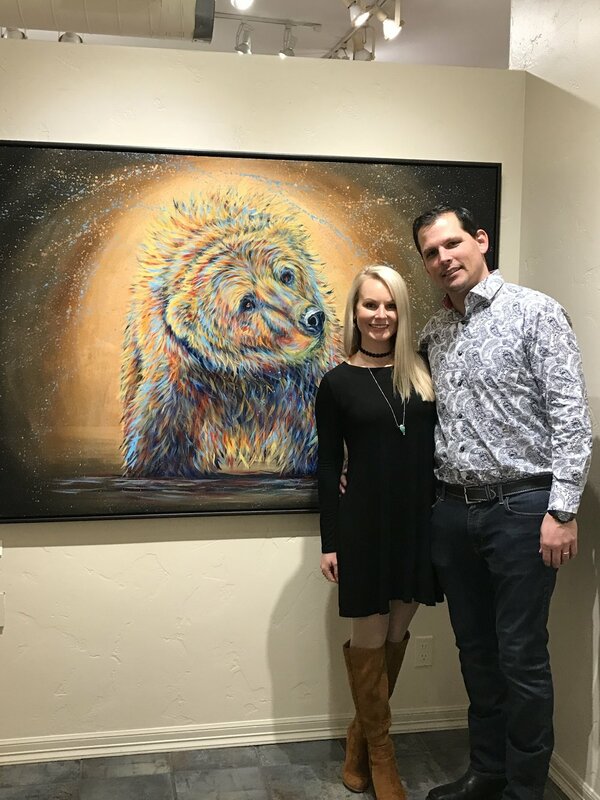 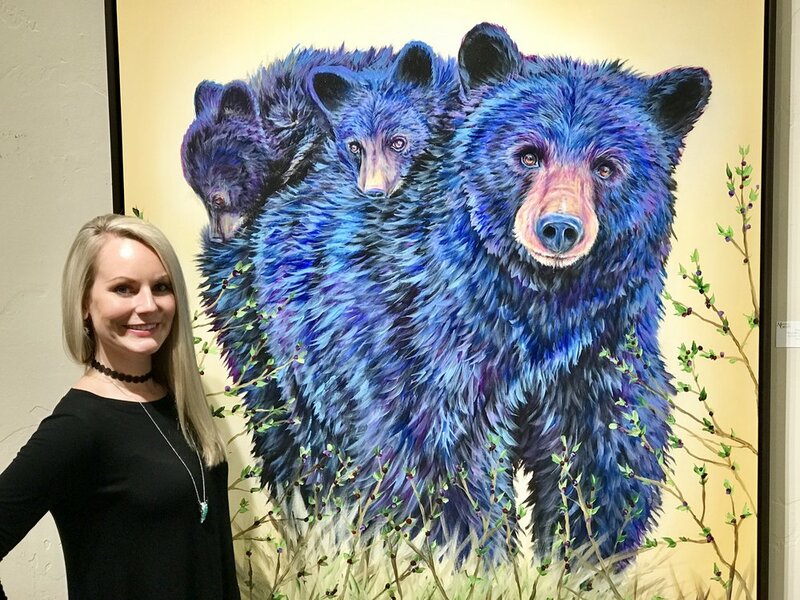 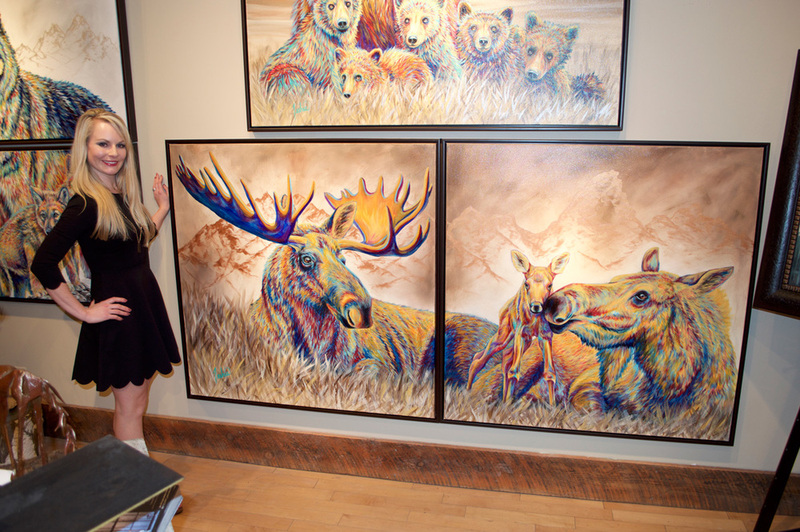 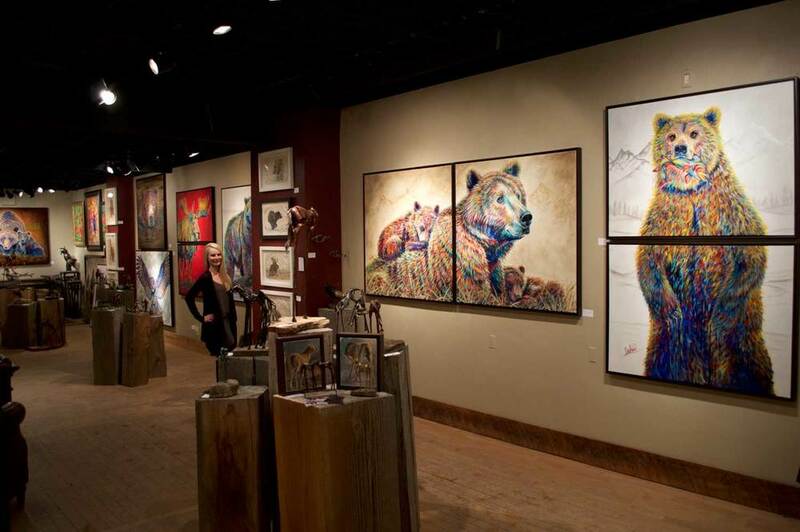 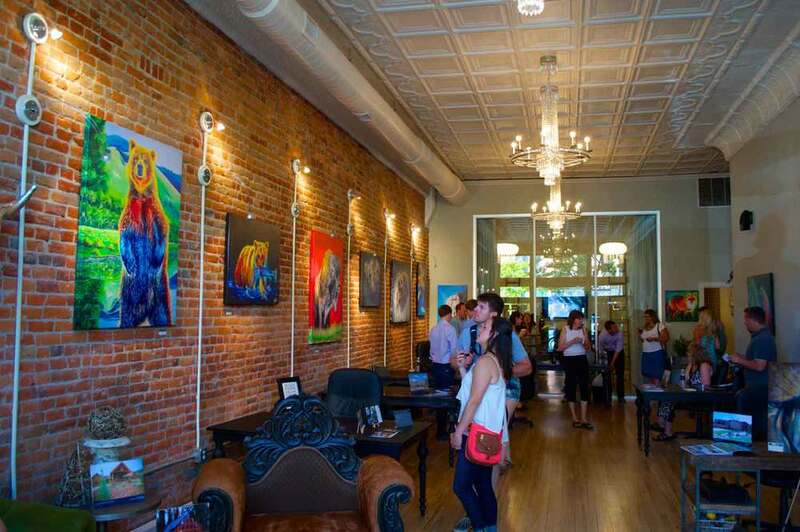 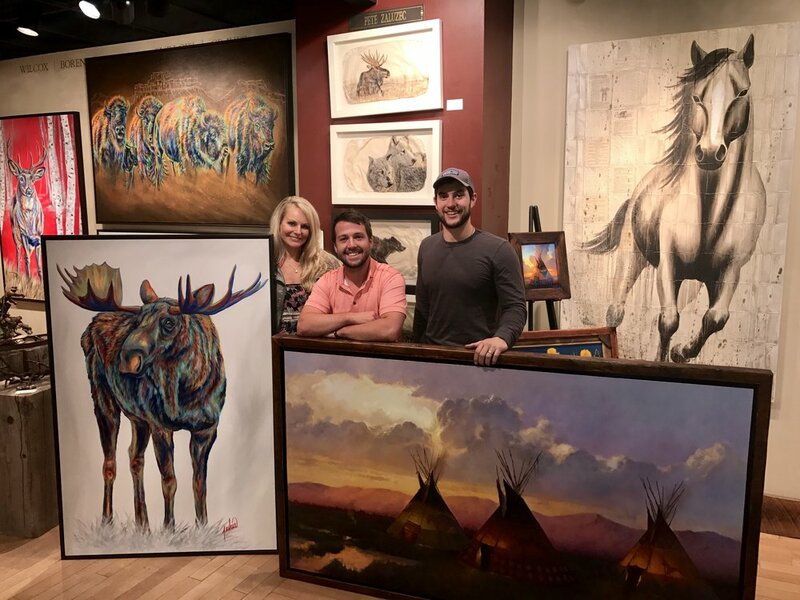 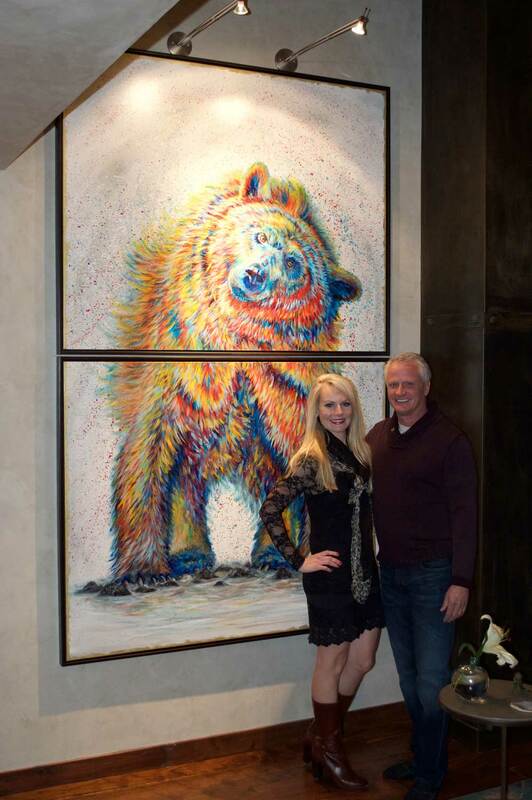 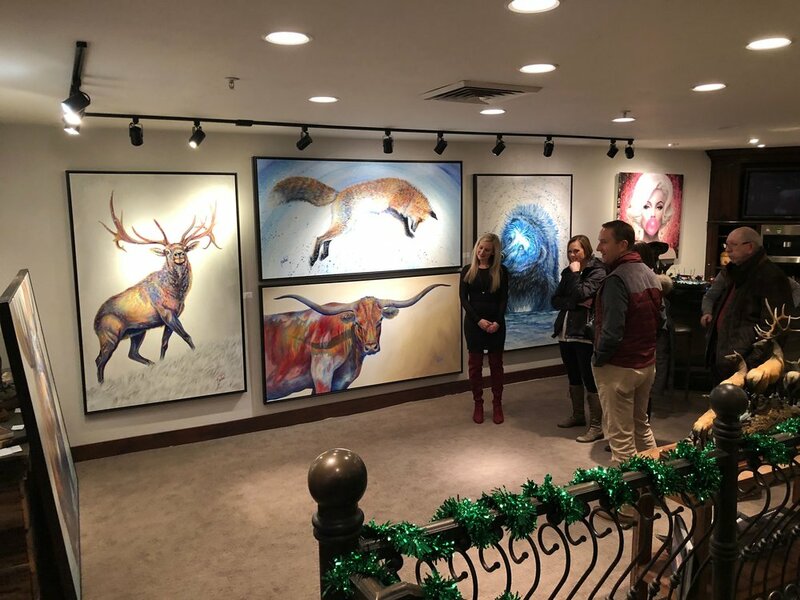 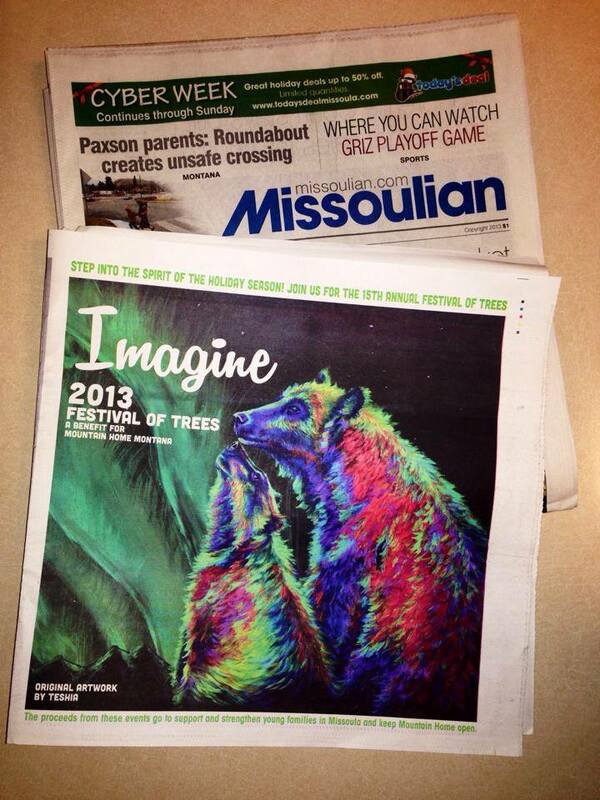 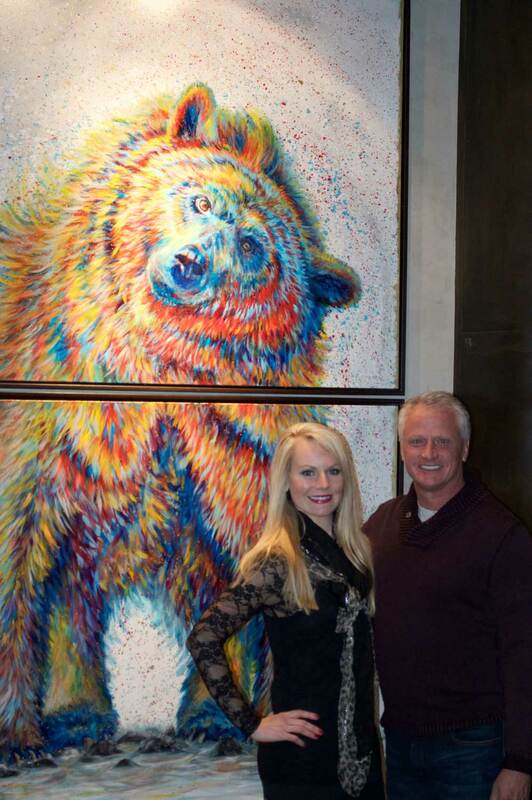 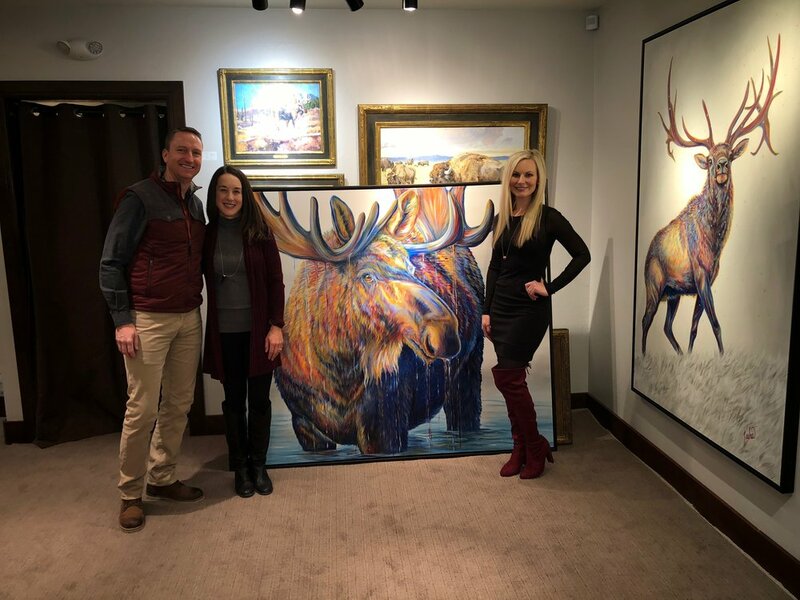 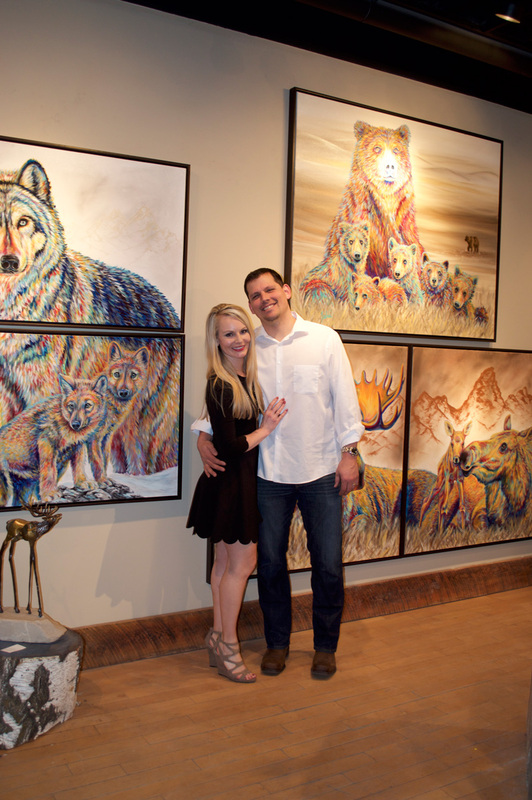 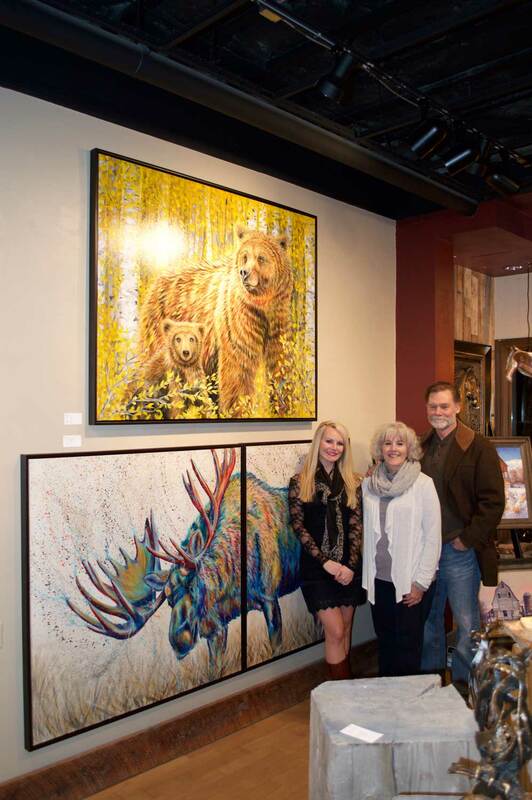 Meet the artist behind the colorful wildlife paintings on Main Street in the Park City Fine Art Gallery! 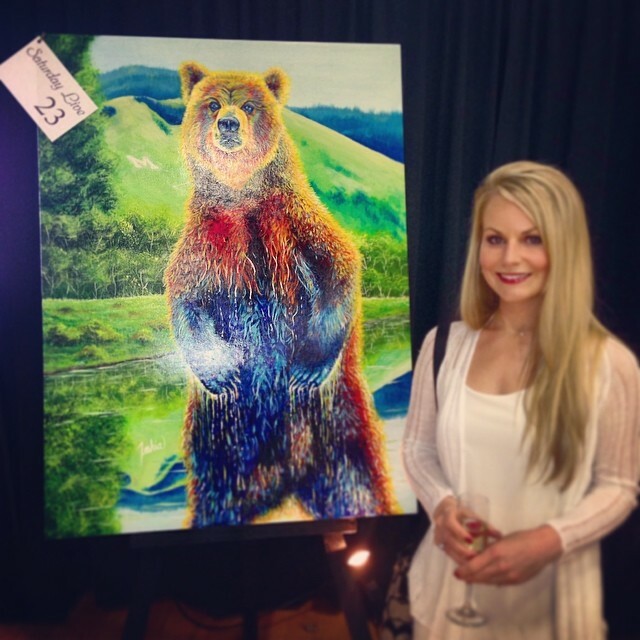 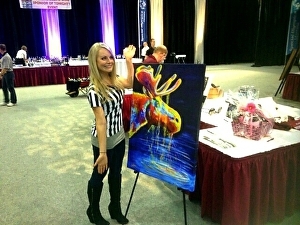 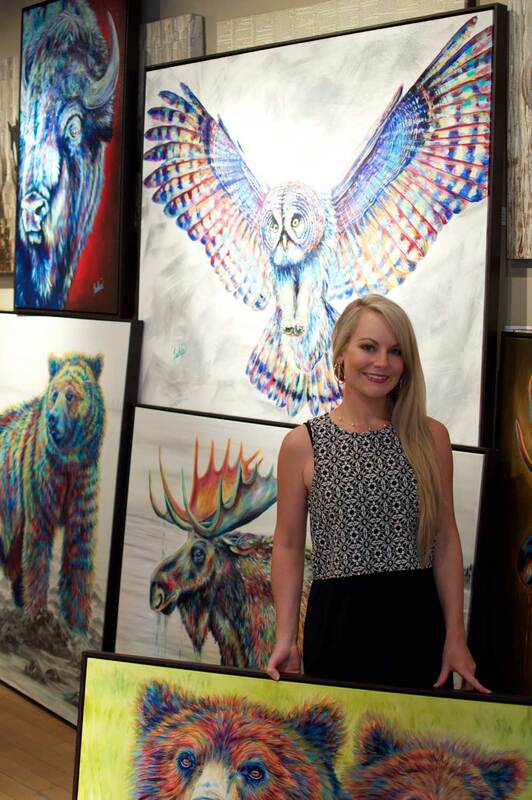 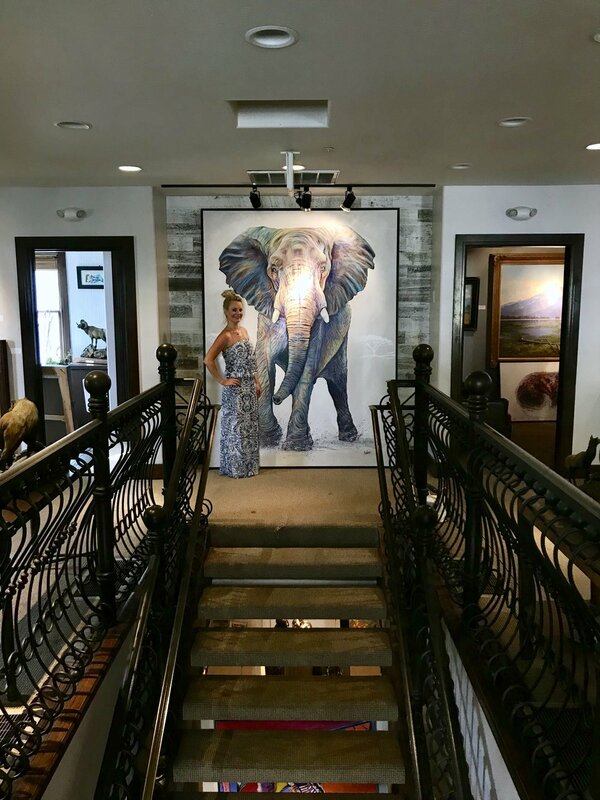 Teshia is turning the heads of art collectors near and far with her distinctive style of Contemporary Wildlife Artwork. 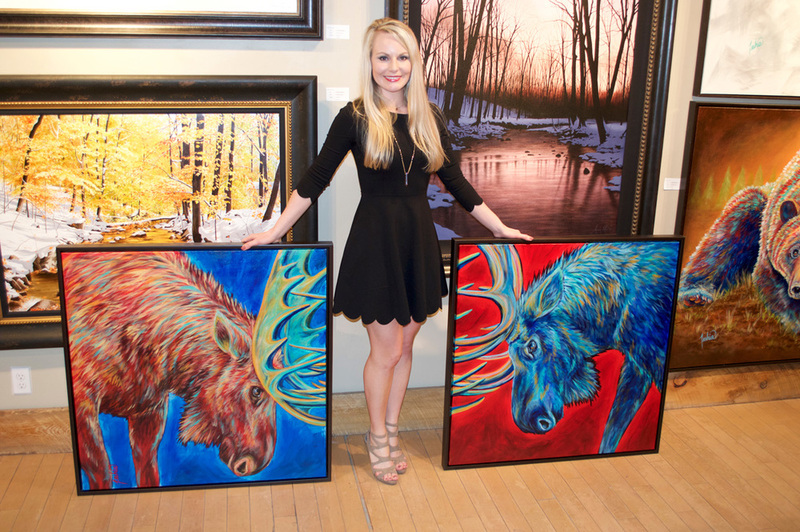 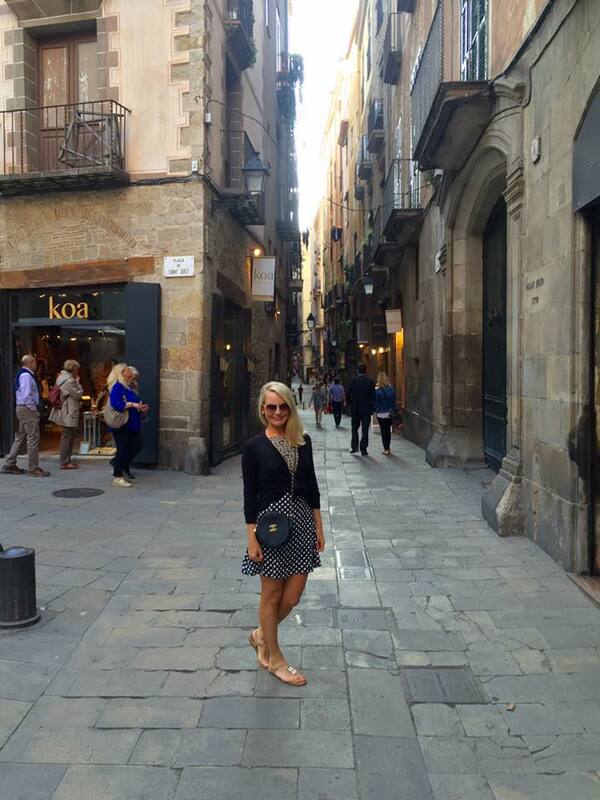 At a young age, she has quickly made her mark in the art world. 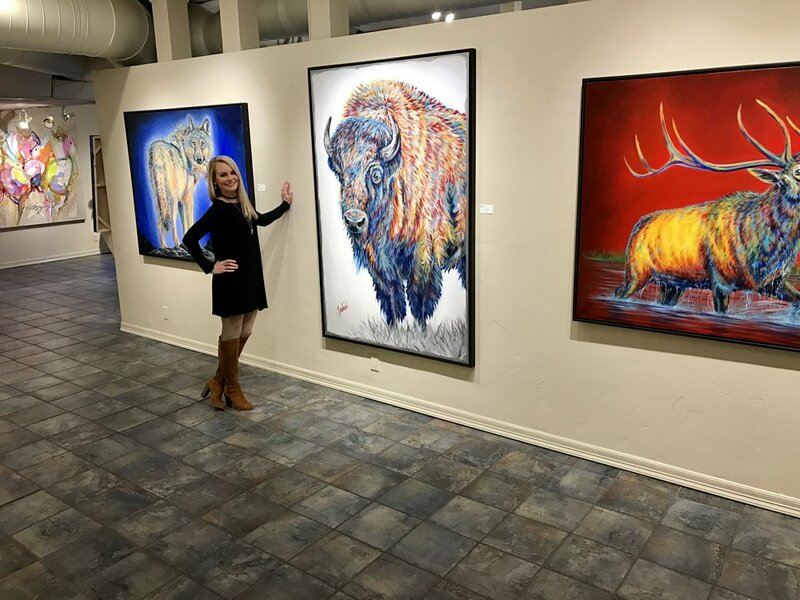 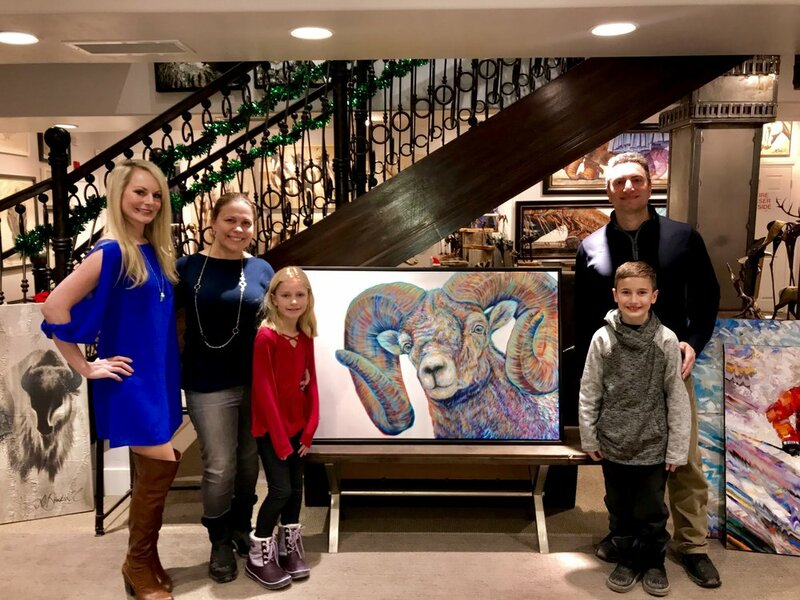 Her renowned colorful paintings are in high demand both nationally and internationally, and can be found in the homes of art collectors and aficionados from Montana to Milan. 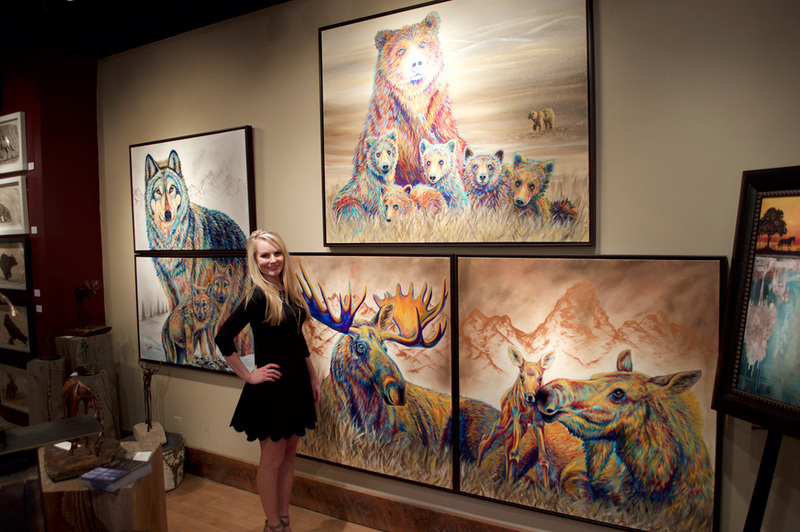 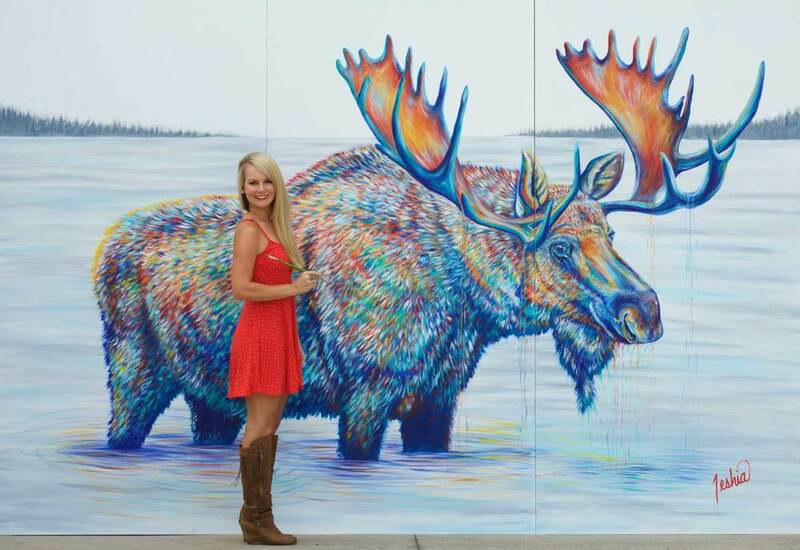 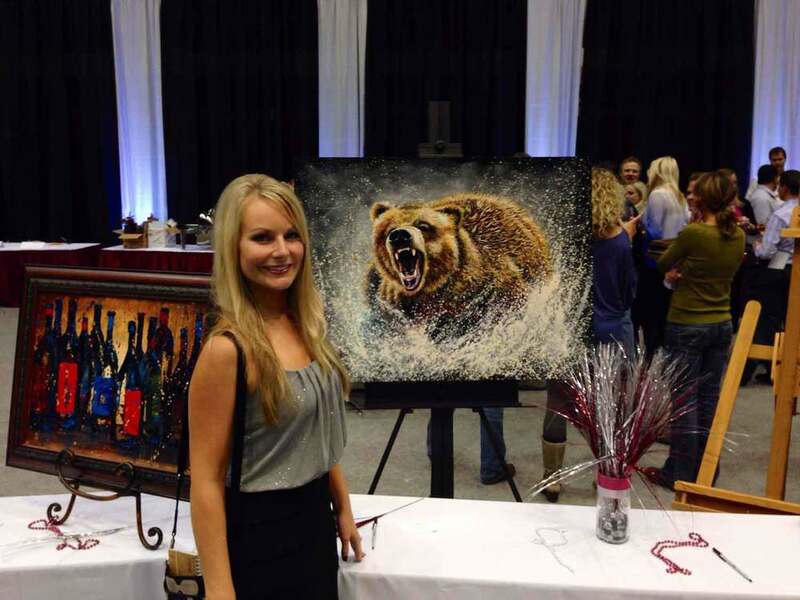 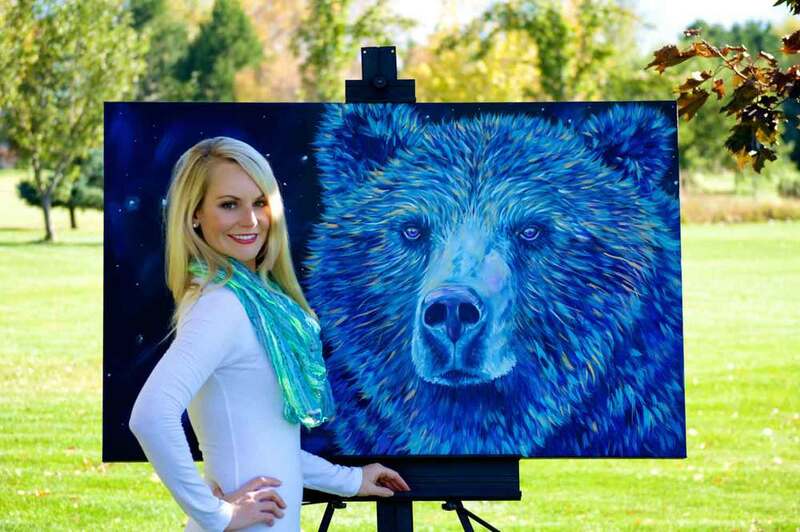 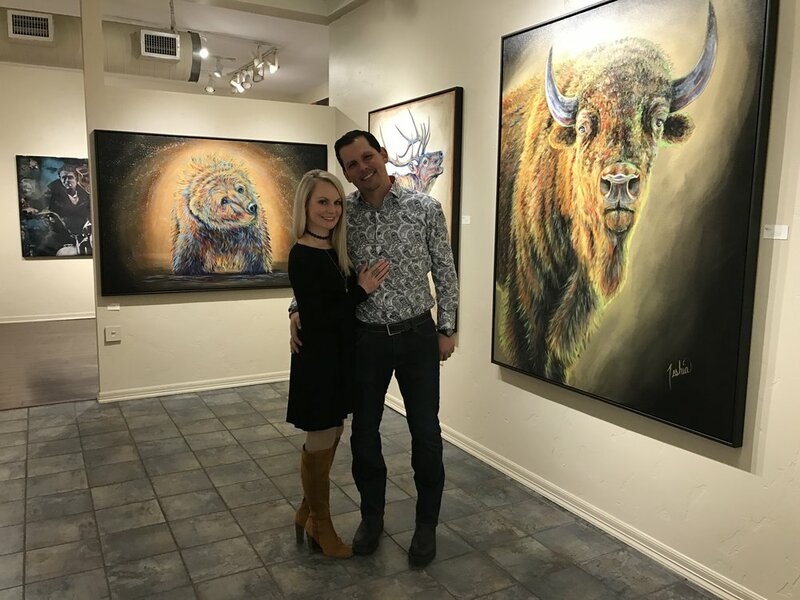 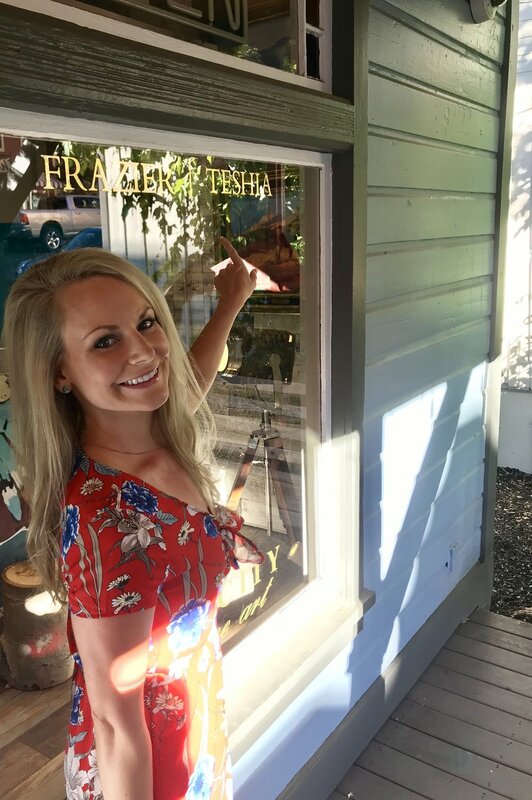 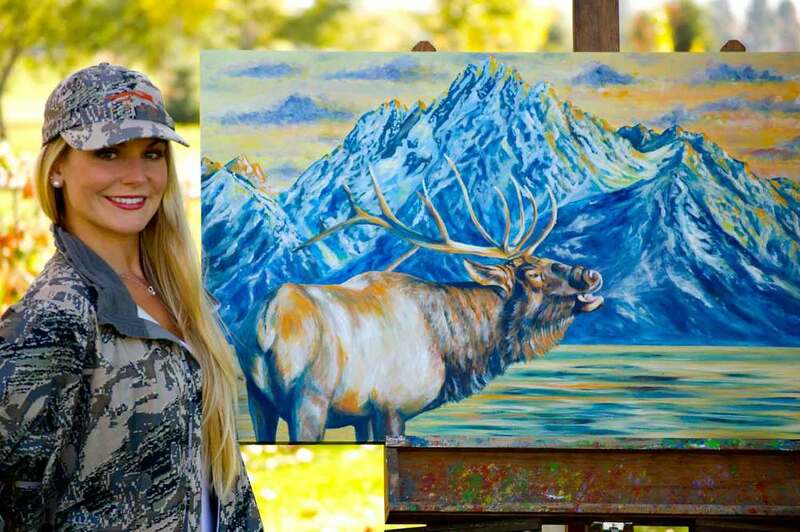 Teshia specializes in large acrylic paintings that portray her unique interpretation of the exclusive animals and scenes of the West. 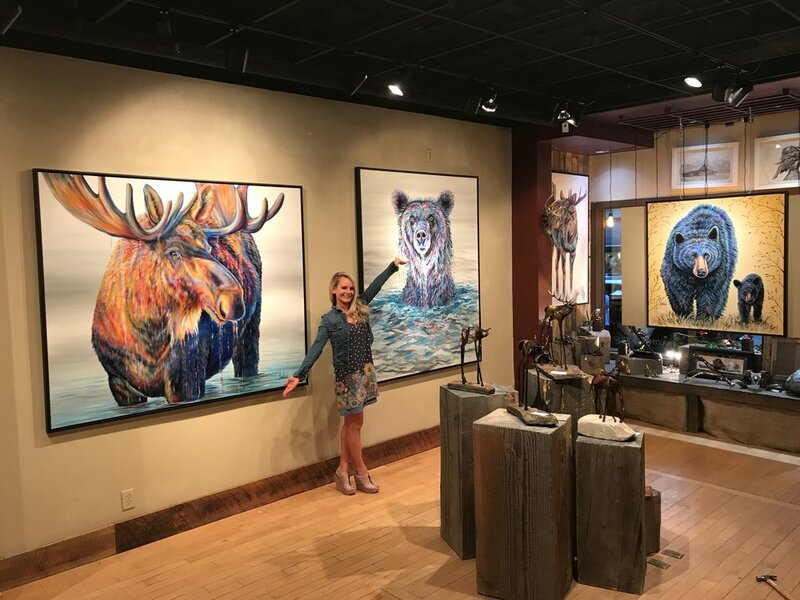 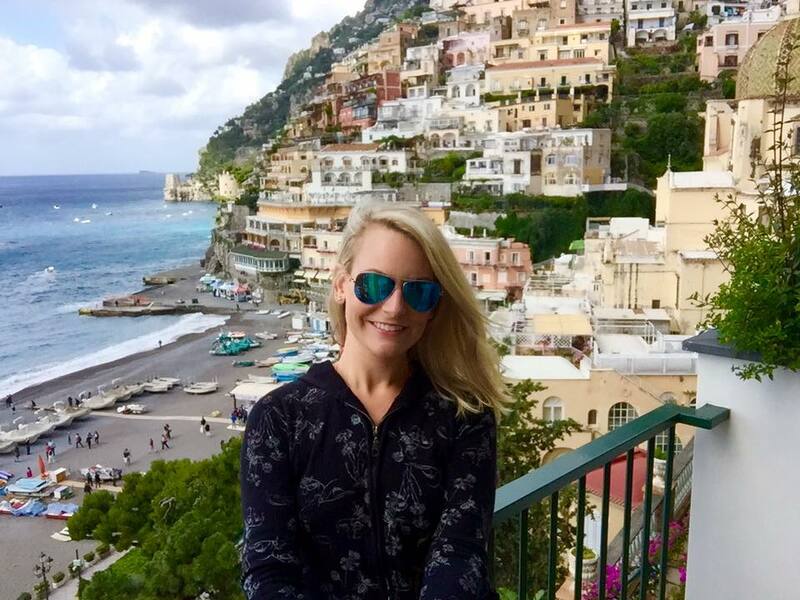 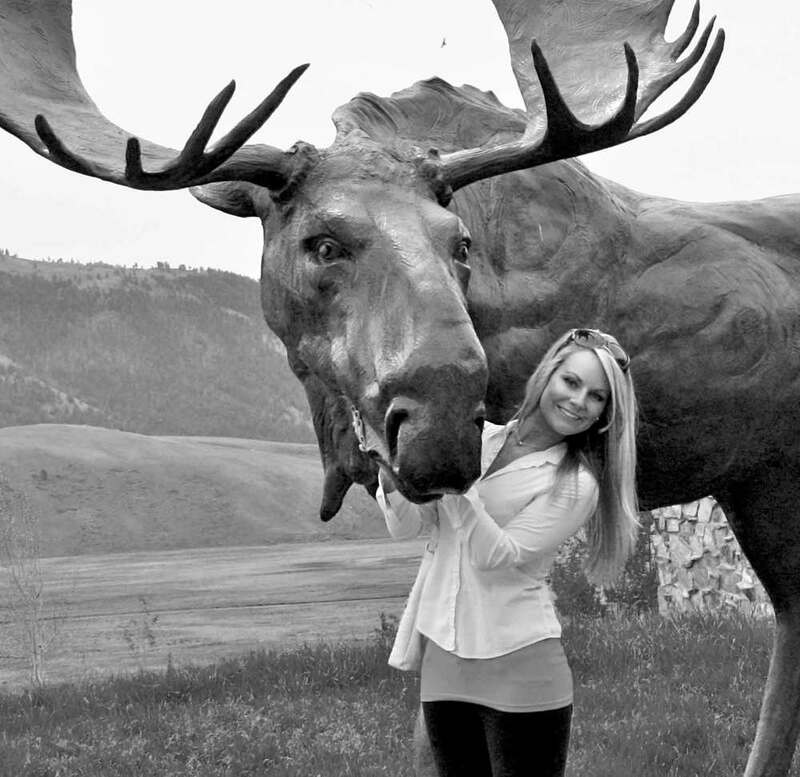 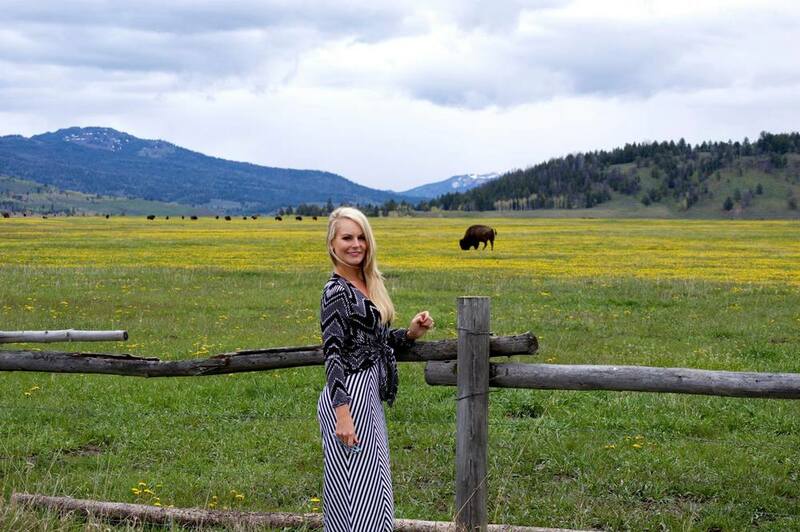 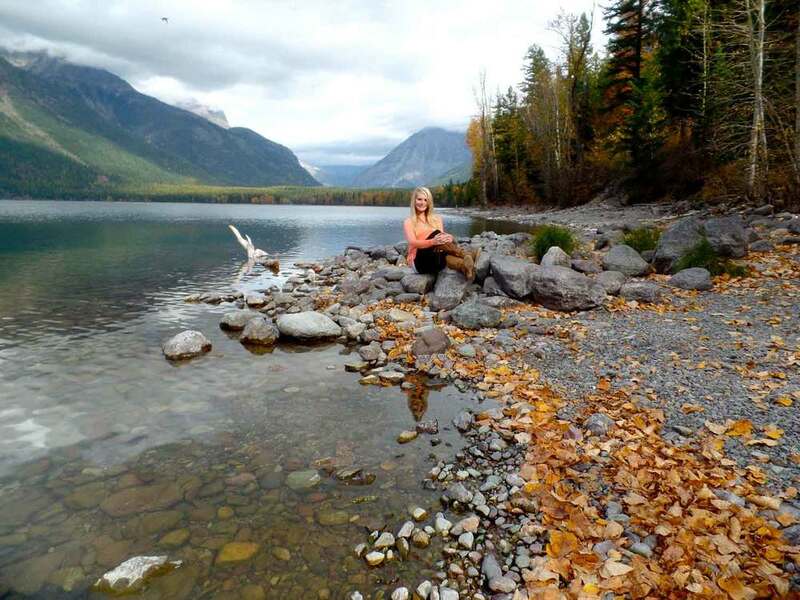 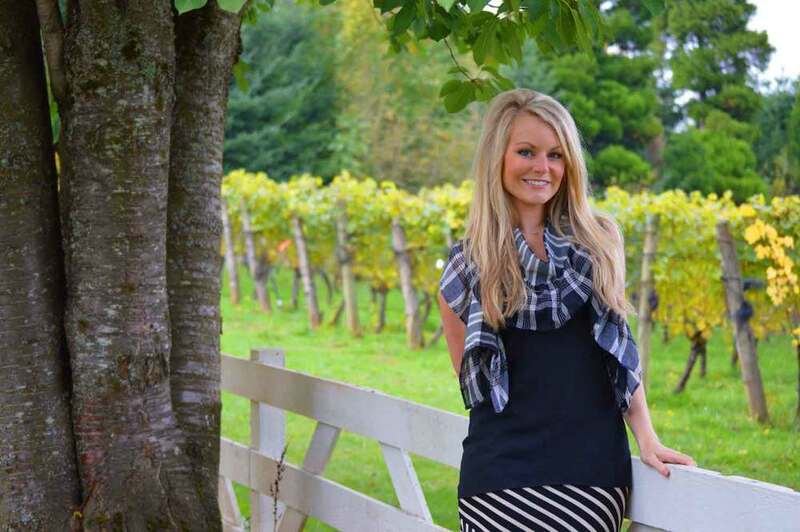 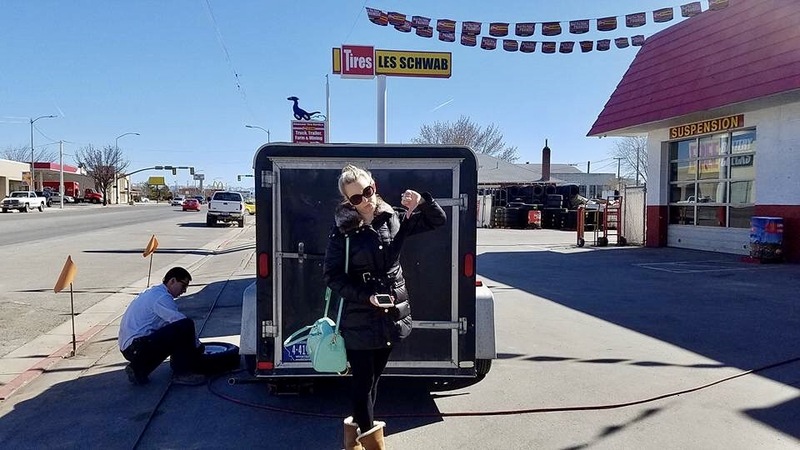 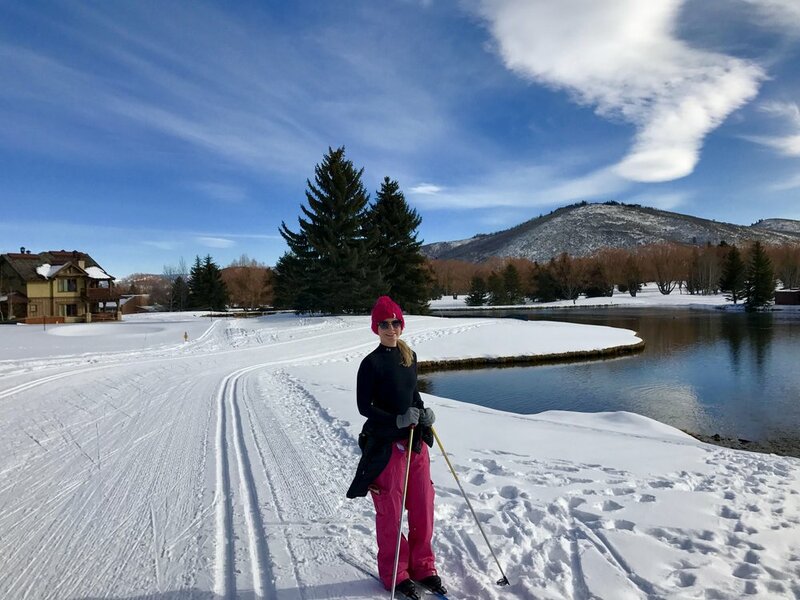 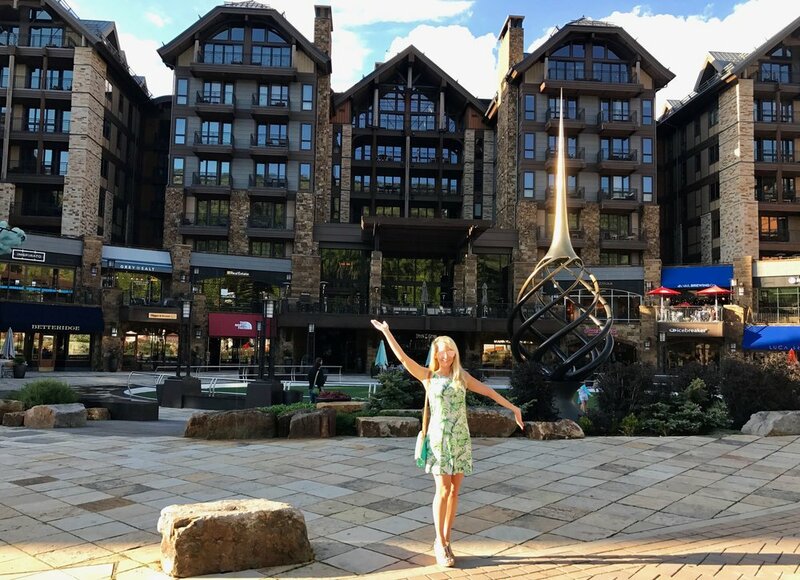 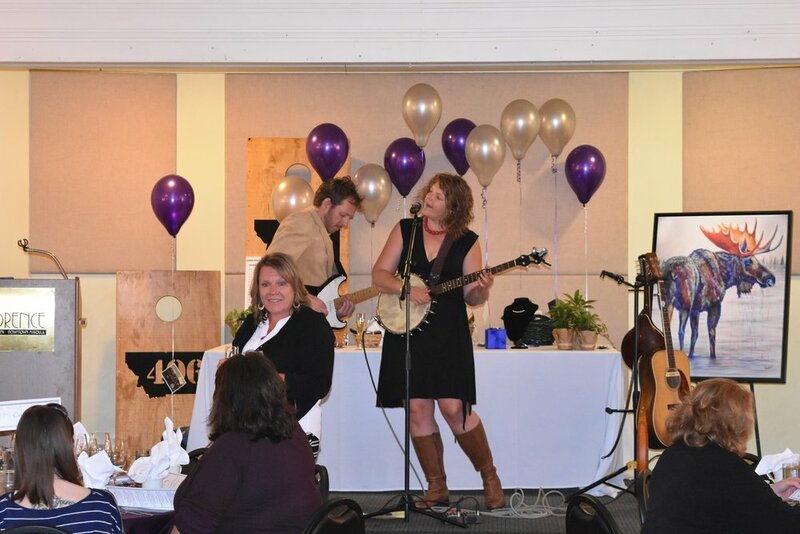 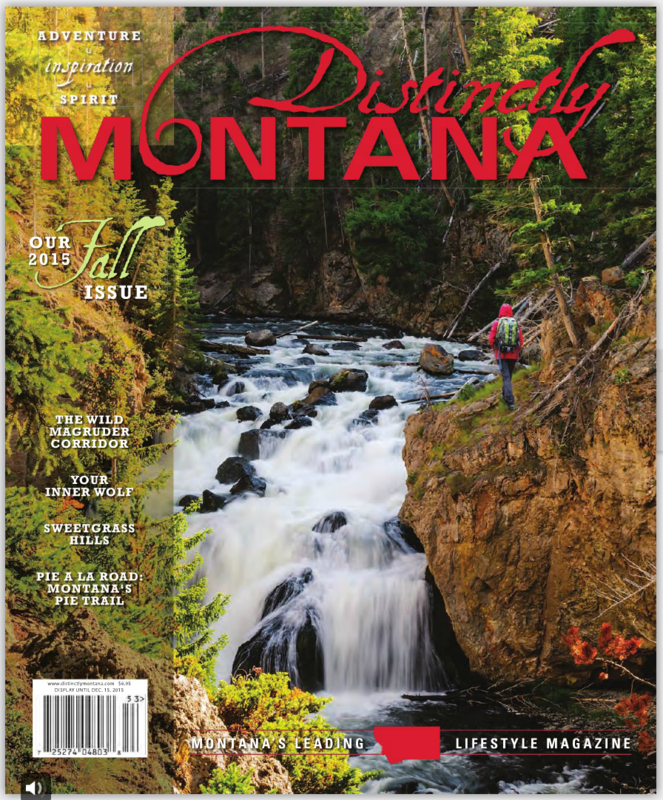 She resides in Montana, where her inspiration is ignited by her passion for the great outdoors and the beautiful wildlife that flourishes around her. 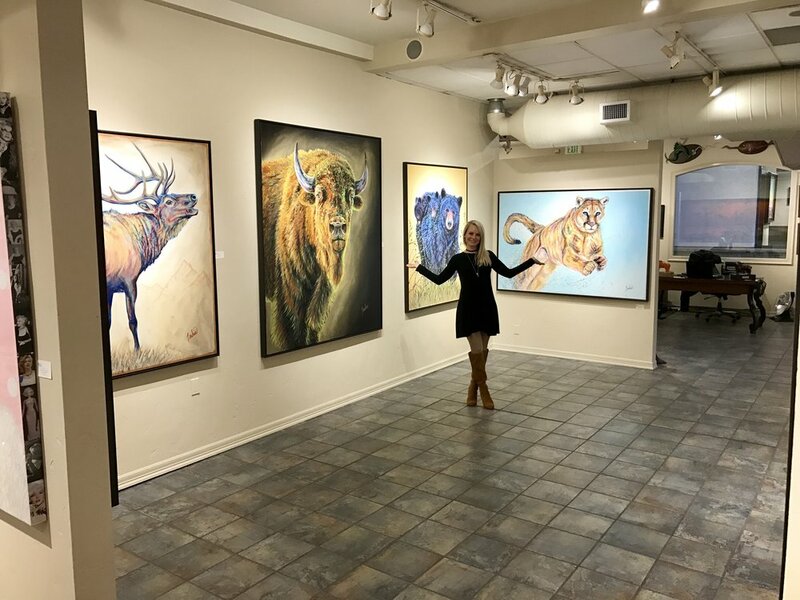 She prefers to let her heart and intuition guide her creativity, often having visions of her best pieces before conceptualizing them and bringing them into reality. 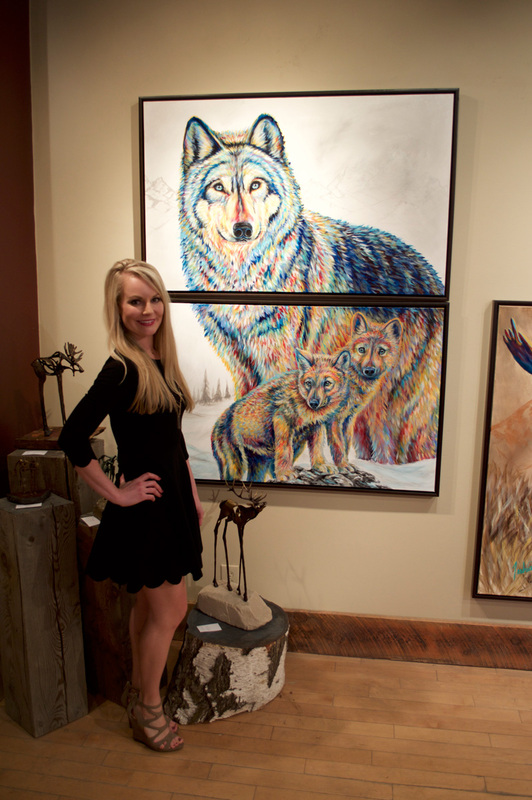 She is primarily self-taught and sold her first painting at the age of 10. 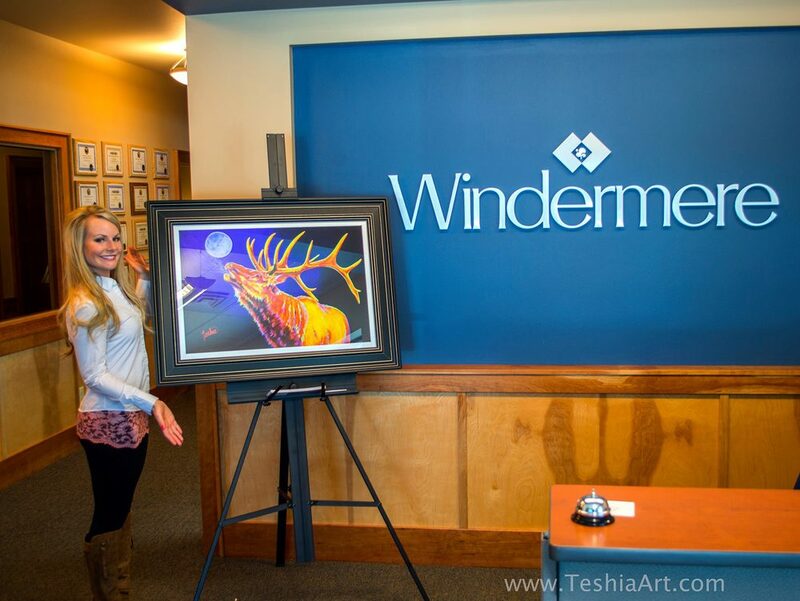 Teshia's wildly colorful paintings embody a unique and remarkable combination of Abstract Art, Pop Art and Realism. 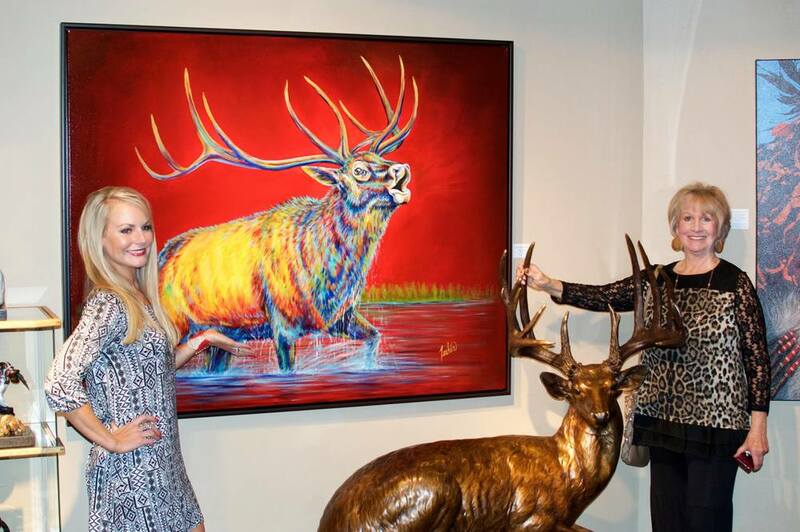 Her Original pieces are often lavishly embellished with rich and lustrous metallic accents. 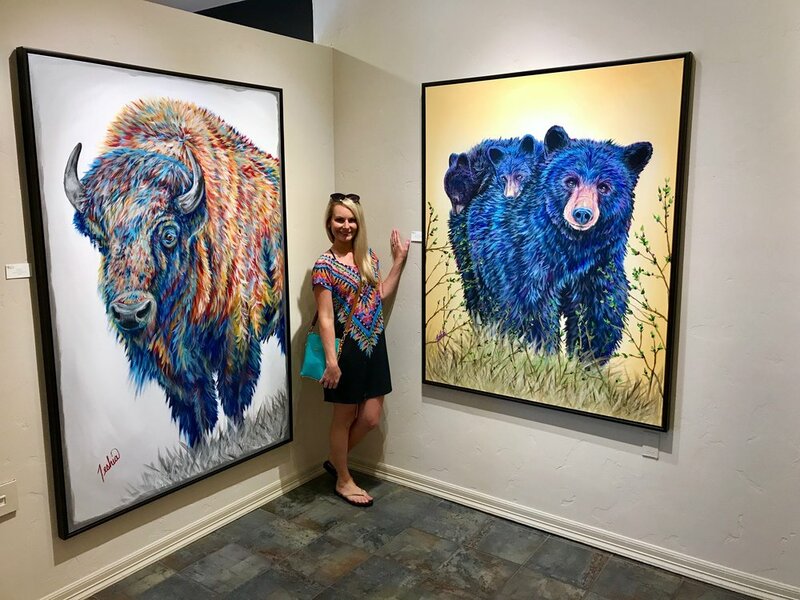 They are acclaimed for "glowing" with astounding vibrancy, energy and life, and are displayed in Galleries throughout the West. 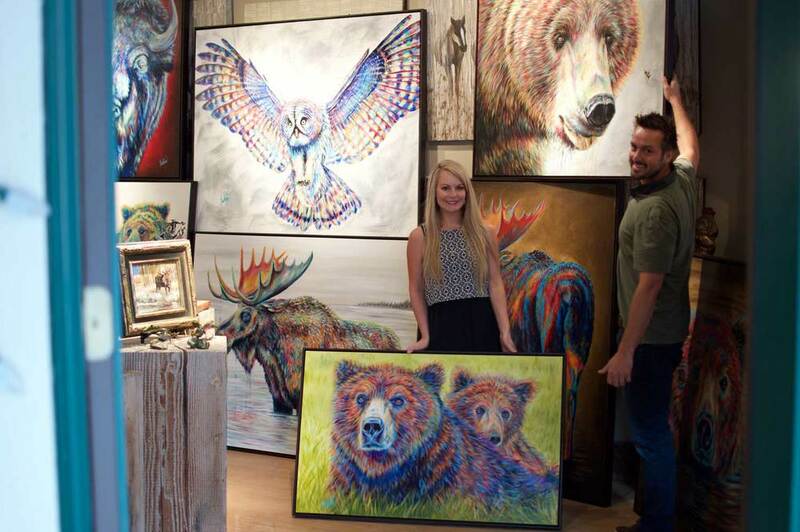 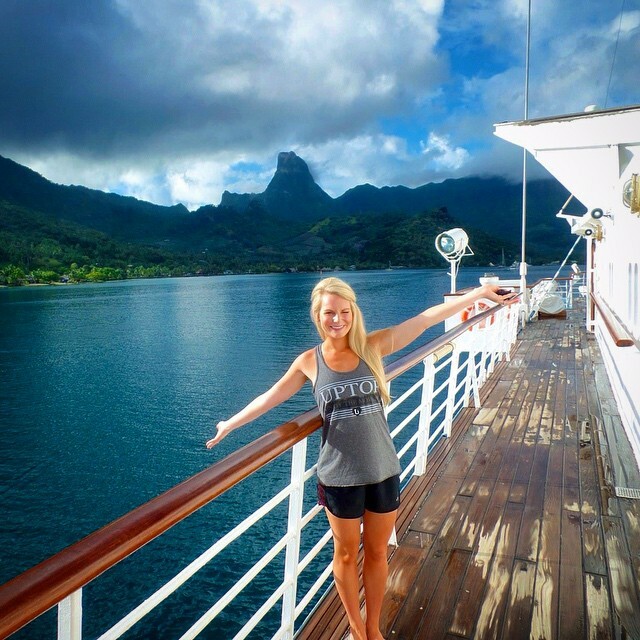 Much like her own outlook on life, Teshia’s paintings undeniably radiate fearlessness, adventure and dynamism. 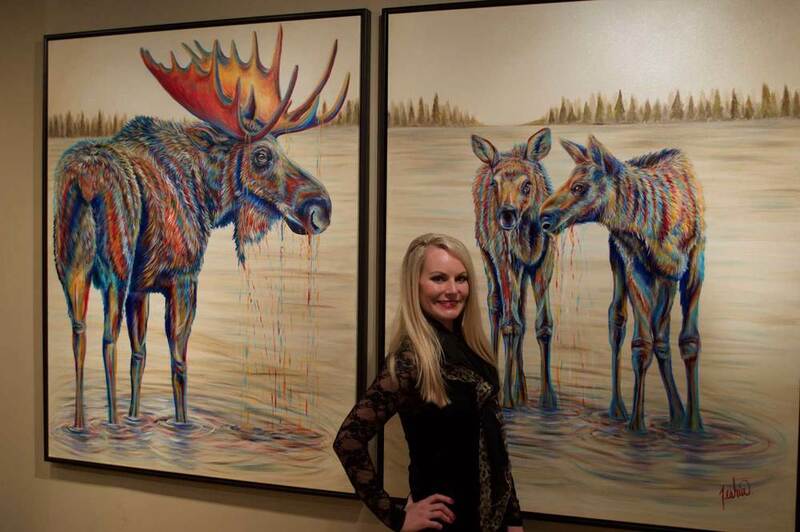 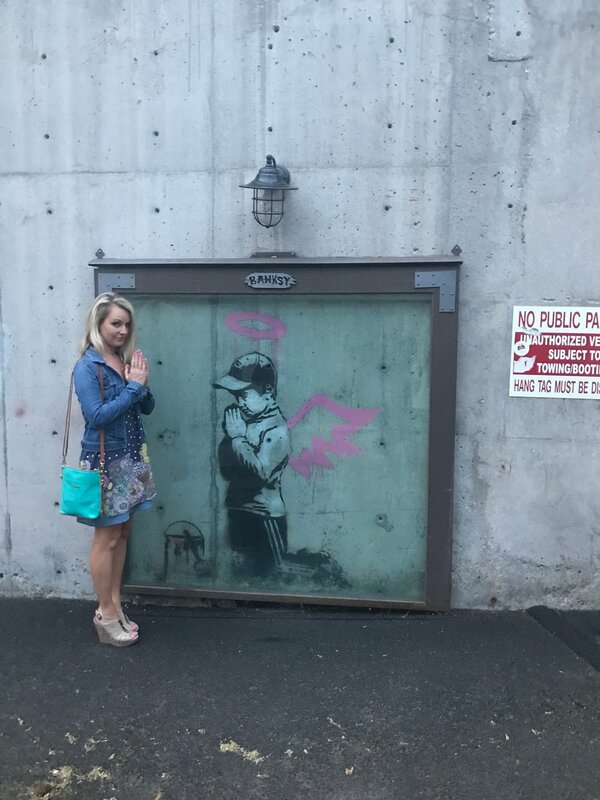 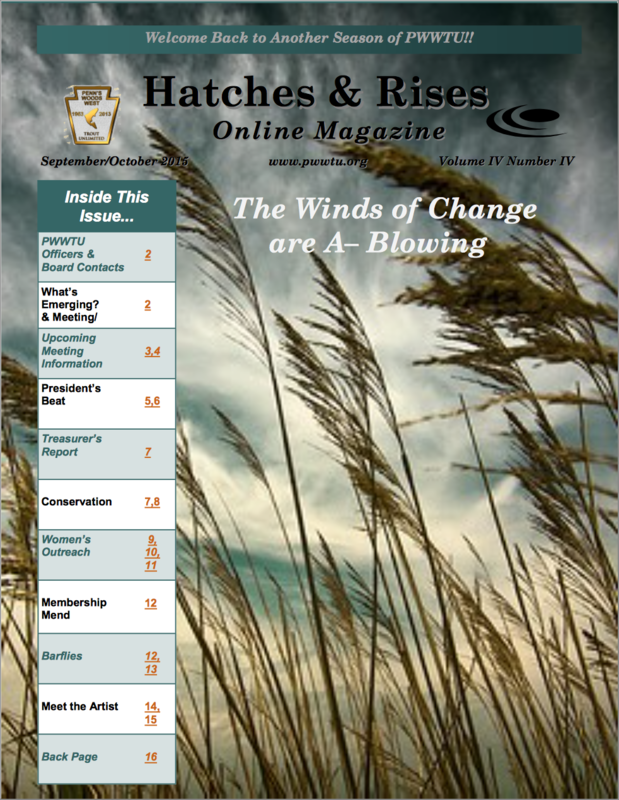 She seeks to exemplify the brilliance of the Western World through her imaginative artwork, exclaiming, “I believe that everything becomes a bit more beautiful with a splash of wild color, and that it is the color in the world around us that intoxicates our senses, livens our spirits and evokes positivity in our lives”. 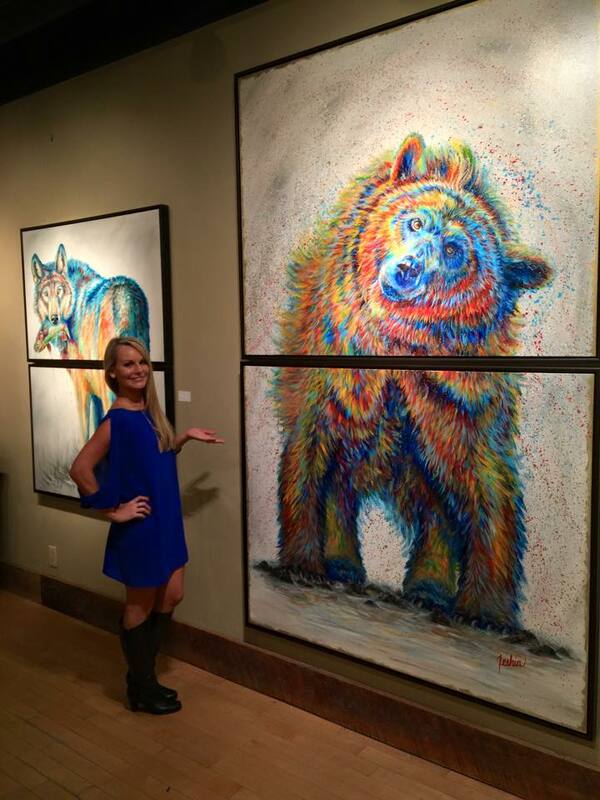 She is ecstatic to be living her dream of splashing color into the wild and beautiful world that surrounds us all. 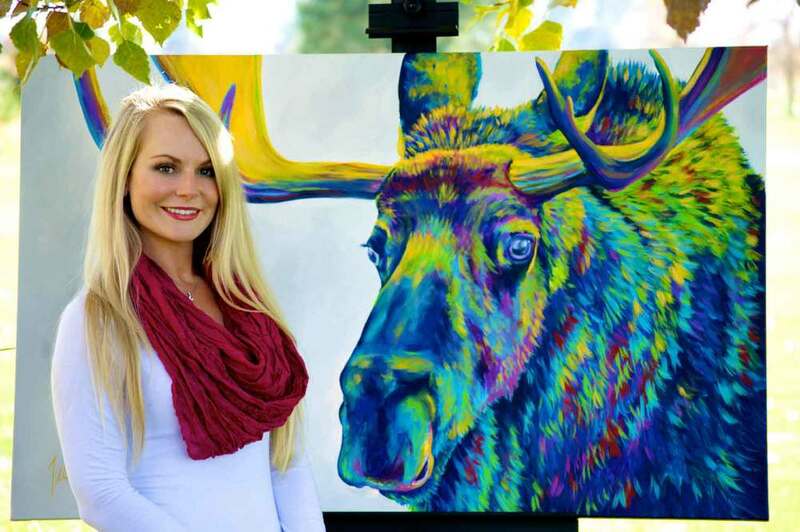 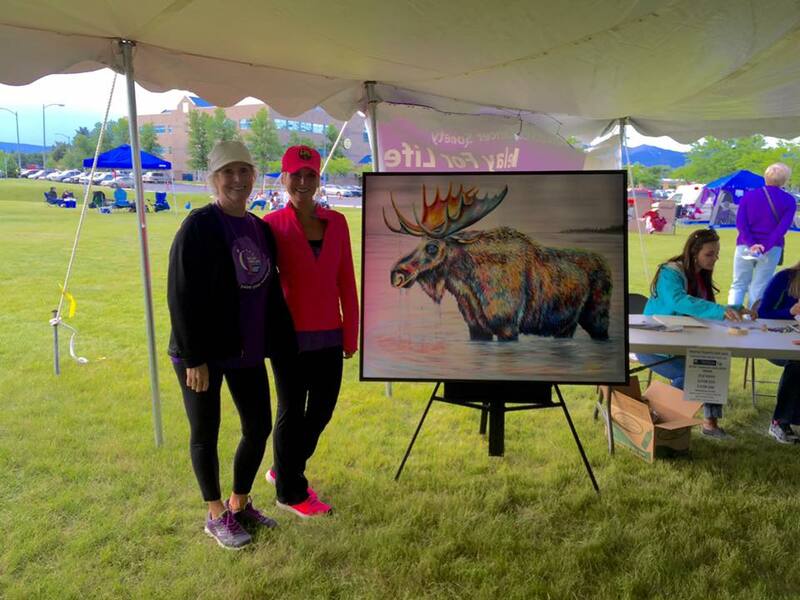 "It all started with a Moose...."
Teshia loves being able to make the world a brighter place for all with her colorful artwork! 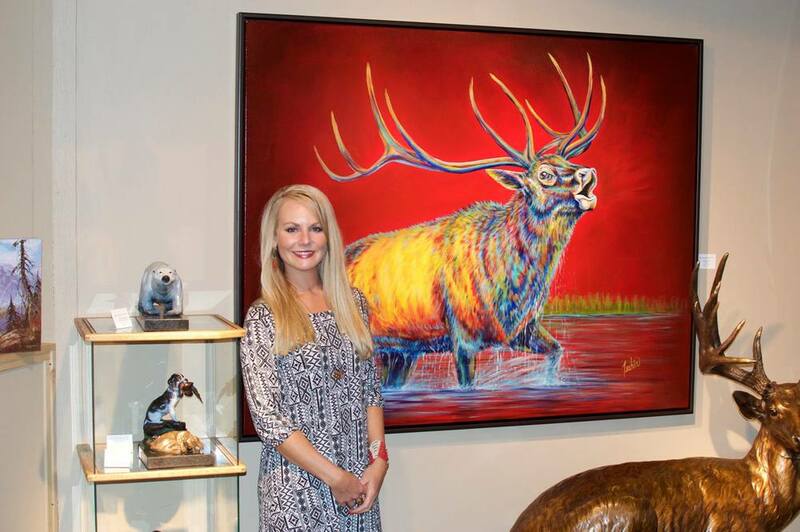 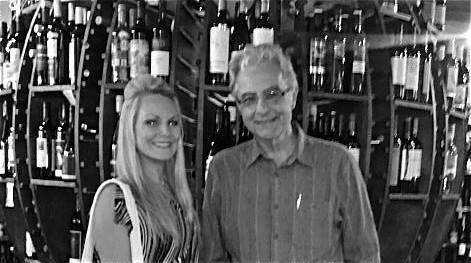 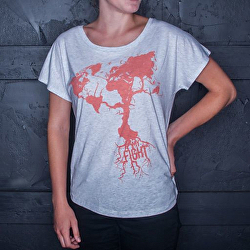 She has proudly & generously supported many organizations, and continues to do so whenever possible.